Work closely with staff experienced in forest conservation, agroforestry, agronomy, participatory community development, social entrepreneurship, and marketing/communications. Hands-on experience in all of the above plus agriculture, landscape management, organic certifications, Fair Trade certification, indigenous rights, climate change mitigation, biodiversity monitoring, women’s empowerment, grant writing, and online marketing/media. Numerous research & dissertation opportunities available if requested, including Agricultural Economics, Social Entrepreneurship, Forest Conservation, Climate Change mitigation, Environmental Education, Agroforestry, Community Development, Indigenous Cultures, Gender Rights, and more. Participate in and help develop cultural exchange events including ecotourism, farm to table Amazonian forest foods meals, and guayusa tea ceremonies. Keywords: agroforestry, agricultural economics, biodiversity, sustainable development, research, community development, economic development, social entrepreneurship, climate change, indigenous groups, new product development, women’s empowerment. College students, graduate students, industry professionals, and anyone interested in our work are warmly invited to the Ecuadorian Amazon to support our organization and/or conduct research in a number of areas related to forest conservation, biodiversity, community development, and sustainable development. Working with our dynamic NGO, indigenous communities, and other researchers and consultants, you have the opportunity to support participatory community development and conservation projects and expand a new, green industry in Ecuador that is already receiving national and international attention. The NGO for which you will work provides direct market access, agroforestry training, and holistic development services to local indigenous Amazonian farming families, by leveraging Fair Trade partnerships to create sustainable social change. 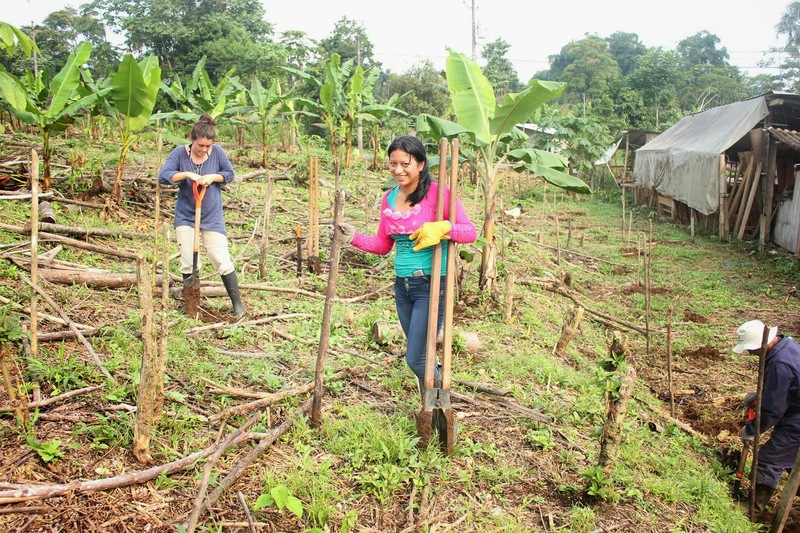 With a network of over 2,500 farming families, a 10 person staff, and a diverse network of advisors and consultants, our well-known organization is pioneering a social enterprise model that has the potential to transform local Ecuadorian economies and provide sustainable livelihoods for local people, while preserving the rainforest. We have already planted over 1.2 million guayusa trees (a holly tree native to the Ecuadorian Amazon) and currently work with over 200 indigenous communities to develop new livelihood opportunities that enable families to increase their income while conserving their forests. Through the organization, farmers have an avenue to sell culturally significant, environmentally friendly, and economically valuable species, greatly reducing the need for farmers to degrade the protected primary forests they live beside. Through their collaboration with our NGO and Fair Trade, farmers learn conservation tactics as well as the skills they need to sustainably produce and sell certified native products – creating a system that is mutually beneficial to the local people and the forest. 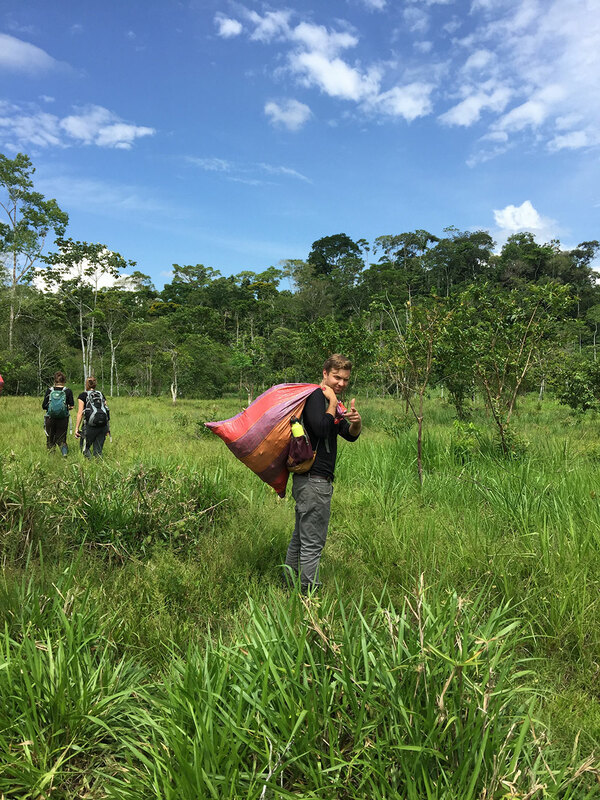 This is an opportunity for motivated, enthusiastic, and adventurous interns to work in the Amazon rainforest and help support the growth of a budding social enterprise with a unique social and environmental mission. You will have the chance to participate in groundbreaking research and innovative projects in a range of areas which are essential for the growth and development of guayusa and the local communities. This work is highly dynamic, field-based, collaborative, and exciting. This NGO is implementing a project to work alongside communities to develop integrative forest management plans and perform research on biodiversity in the region. This includes sustainable forest management, agroforestry production, community forest investment plans, and wildlife monitoring and conservation. The NGO has an office based in the small town of Archidona, and does field work all around the region to complete these and other projects. 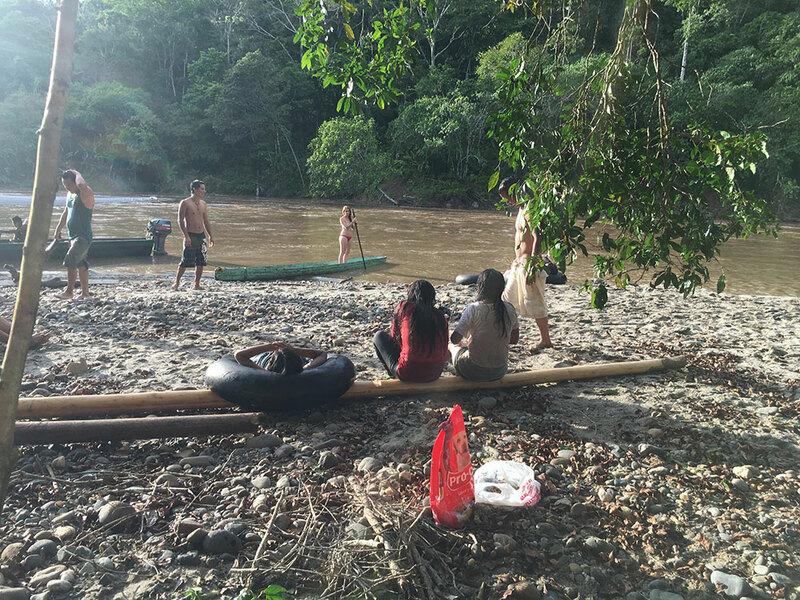 Interns have the chance to work in the communities alongside locals studying and monitoring conservation “buffer zones” next to the protected forests and reserves. These buffer zones help mitigate extractive activities, like logging and the hunting of endangered species, within the area of conservation. 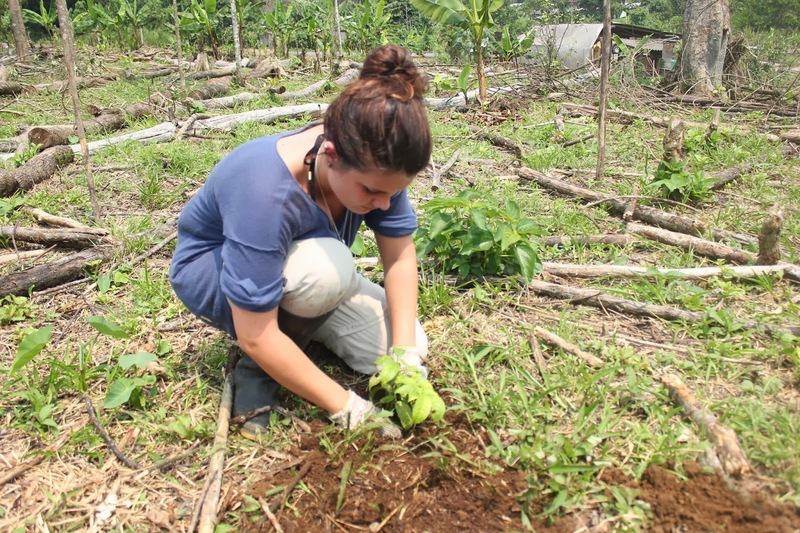 Our Environmental Development and Agroforestry interns will work with staff collaboratively on various projects. One example of a project is supporting in the creation of a baseline monitoring system of activities that occur in communal forest reserves and protected areas. You will use GIS to create maps that outline areas of production, conservation, and communal reserves. –Drafting management plan activities with communities related to sustainable forest management, women’s empowerment, agroforestry production, and wildlife monitoring. –Conducting monitoring of biodiversity factors in 6 model farms throughout the region. –Planning and assisting with workshops on reforestation, conservation, community development, and guayusa harvesting. –Reporting on findings from household, timber harvest and agricultural economic surveys. -placing camera traps in the forest reserves near the communities, to create a wildlife census. 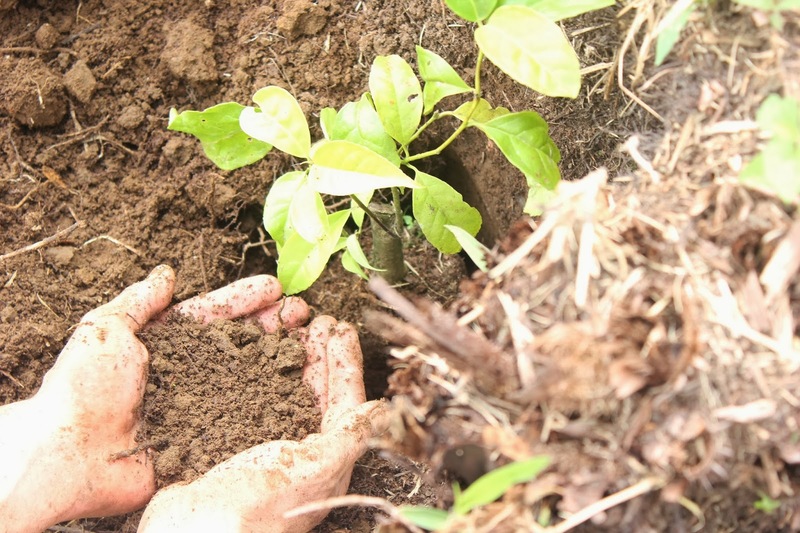 –Work with communities to plant guayusa and other trees in conservation buffer zones. Researchers or university students are welcome to come to complete field research – specific research projects will need prior approval of project directors and will depend on experience and staff availability. Past projects have involved market value chain development of Amazonian products, biodiversity evaluation sampling, impact studies on benefits of Fair Trade, and more. 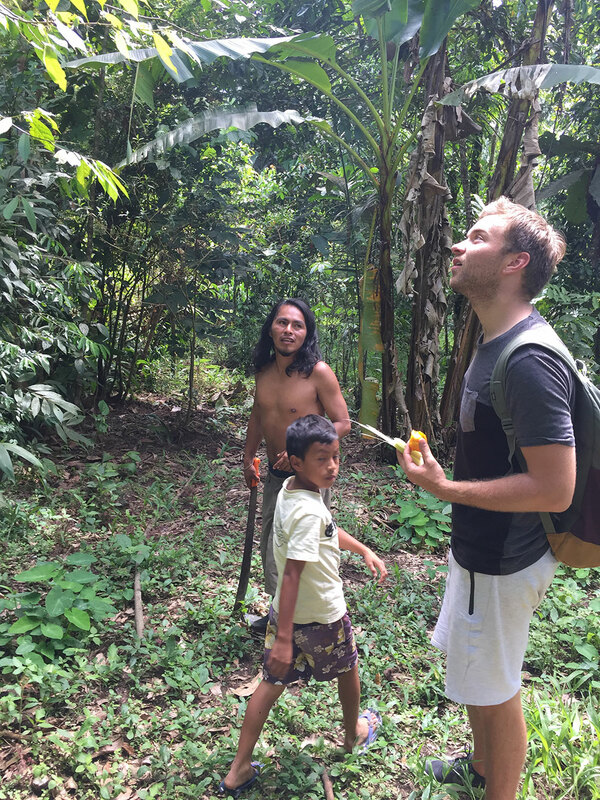 There is the option to help create engaging and provocative videos and written stories about the foundation’s work in the Ecuadorian Amazon, highlighting the farmers we work with, the significance of guayusa to the Kichwa culture, and the dynamic Amazon jungle. Beyond longer stories and videos, you can assist us to develop brand awareness by creating digital online and web media by preparing, editing, updating, and composing online material such as graphics, photos, and audio/video clips, which will be integrated with our social networking mediums. This role allows you to build a unique media profile whilst supporting our work and sharing Guayusa with the world. We have supported development of a community ecotourism project to follow the “guayusa trail,” observe the process of growing and producing guayusa drinks from beginning to end, explore indigenous Kichwa communities, and participate in authentic Kichwa cultural activities (early morning guayusa ceremonies, creating jewellery and clothes from natural fibers, etc.) Interns can help to develop this ecotourism center within one of our collaborating communities! 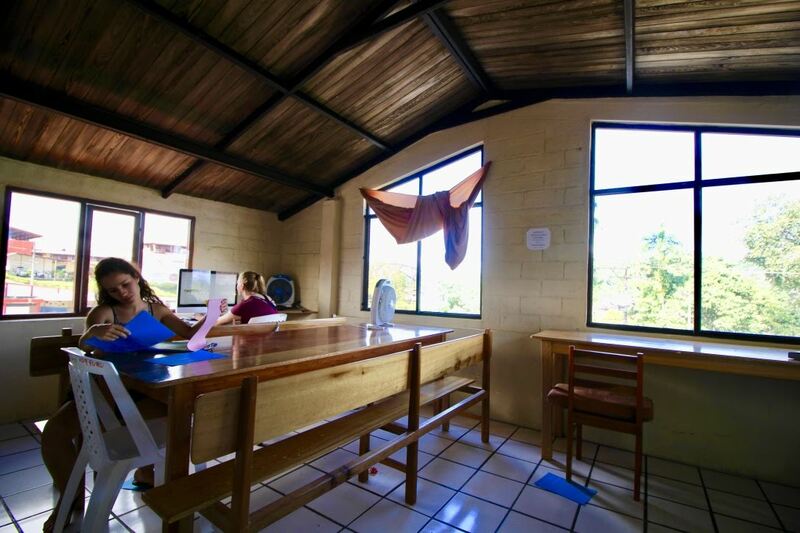 Interns will live in the vibrant “Casa Runa,” a space of intercultural sharing and intellectual engagement located in the center of Tena a few blocks from restaurants, grocery stores, pharmacies, public parks, forested trails and meandering rivers. The two-story building houses both intern accommodations and the Foundation office space. The main office space is located on the first floor, but group work spots and desks are scattered throughout the house to accommodate both collaborative and individual work. 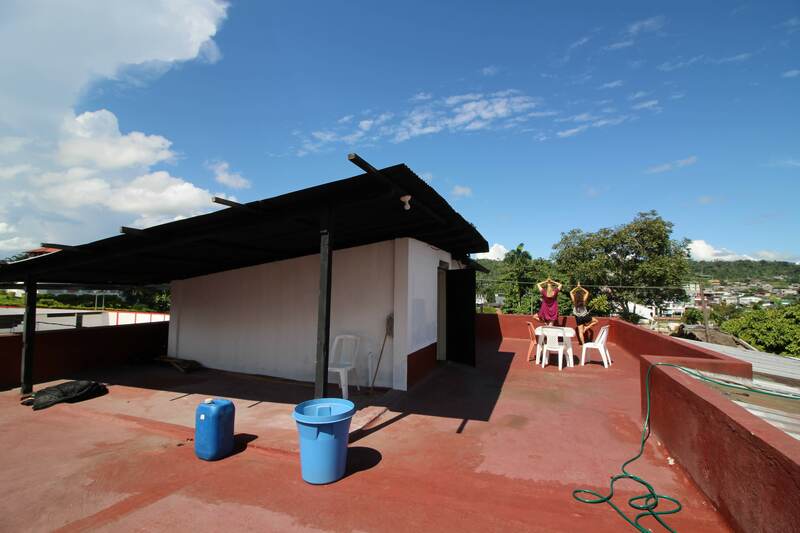 The first floor also includes a large outdoor terrace; a communal kitchen fully stocked with a stove, refrigerator, and cooking equipment; three bedrooms with bunk beds capable of sleeping 10 interns; and two bathrooms. Bedding and towels are provided. On the second floor of the house there is a large meeting room that is great for group work or as a quiet space away from the office. There’s another outdoor terrace on the second floor which is an excellent space to eat meals, workout, and enjoy beautiful views of the city and its surrounding mountains at sunset. We request that interns commit to a minimum of 8 weeks on the ground in Ecuador, have an intermediate level of Spanish proficiency (or a strong motivation to learn quickly before and upon arriving! ), and bring knowledge in their area of research if looking to do a personal project. Interns are expected to finance their own travel costs and food. For those interns looking to do their own research or fieldwork for university – we offer the knowledge and time of our engineers and field technicians, technical knowledge and informational databases, access to communities, NGOs, government agencies, and consultants, and pre- and post-research support. Industry professionals, graduate/undergraduate students majoring in international studies, environmental science, policy, business, agriculture, or a related field. $400 USD for the 1st week, $200 USD* for each week thereafter. * Currency conversions are approximate, use xe.com for the latest updates. Project Fee includes in-depth pre-departure and orientation training, living accommodations in our fully-equipped and beautiful shared intern house (electricity, drinking water, wifi, basic cleaning/laundry services), 24/7 emergency support, and project costs. 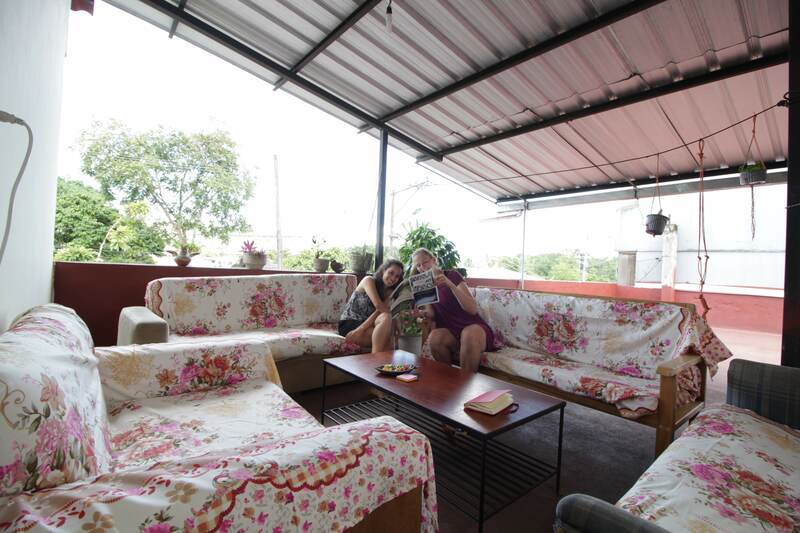 We have a homestay option available, which includes all food and accommodation for an additional $60. Enquire with us if interested. Food (unless in homestay), flights, insurance, visas (if applicable) and vaccinations. Full assistance will be provided in getting all these arranged if you choose our Premium Support.